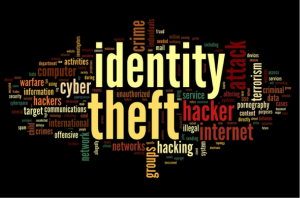 The unique aspect of the case in Broward County is the jurors’ fear of identity theft. This concern is not limited to criminal cases but also includes civil trials such as personal injury, automobile crashes, slip and fall, medical malpractice or product liability. This issue is not limited to Broward County either. It could come up in Miami, West Palm Beach or anywhere a jury trial is conducted. While there has been much written and researched about jurors, the fear of identity theft is a new one. An identity thief could find all kinds of public records for information. However, national expert Rob Douglas said he had never heard of juror information being used in an identity theft. “A very determined person could do it, but does it happen on a regular basis? No, not at all,” said Douglas, who runs the Colorado-based website IdentityTheft.info. Douglas monitors news accounts of identity theft issues and could not recall any cases involving juror information. He did say that it is common for scammers to trick consumers into divulging personal information by pretending to represent the justice system. Jurors are believed to be at no greater risk for identity theft then the general public. It remains to be seen if this issue comes up more frequently. There is no indication that the Broward jurors raised these issues to simply get out of jury duty. In fact, if that was the motivation, one would have expected it to be brought up by the jurors in jury selection. All trial attorneys, criminal and civil, would be well advised to address this topic in jury selection. If the issues of juror safety and the fear of identity theft are not raised by the attorneys or the judge, the trial itself is at risk for a mistrial which is a waste of everyone’s time and efforts. If you are selected for jury duty and you have concerns for your safety or a fear of identity theft you need to make that you tell the judge. So long as you are honest and respectful, the judge and attorneys will address all of your concerns before you are picked to serve on a jury. Wolfson Law Firm is a Miami personal injury law firm located in Miami, Florida that practices entirely in the field of all types of accident, injury, and wrongful death cases. 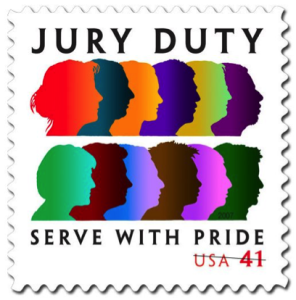 We do not represent people with jury duty issues. This article is for information only and in no way encourages the illegal avoidance of jury service. The firm routinely accepts trial referrals. It is a boutique law firm that represents clients, giving them the utmost personal attention. Wolfson lawyers help clients in all parts of injury and wrongful death claims, handling cases from initial investigation, through trial, and even appeals. Call us today for a free evaluation at (305) 285-1115.